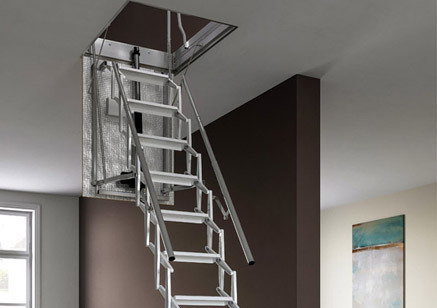 Roof loft ladder with 11 steps and a mobile structure made of galvanised 15/10 stamped sheet metal and with spring cushioning and recall to make opening and closing the ladder easy. 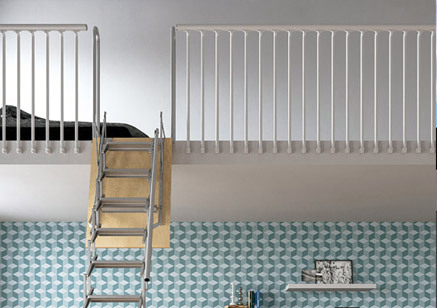 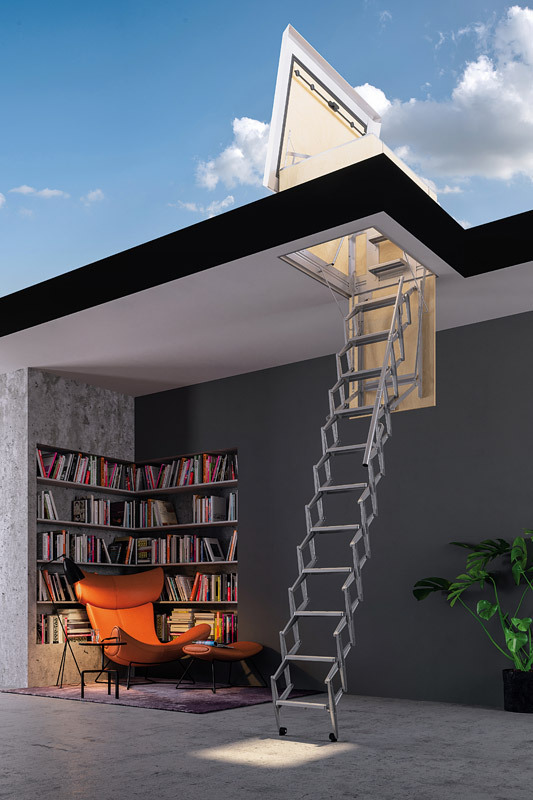 The structure of the flat roof loft ladder is made with 10/10 galvanised steel inner frame and poplar plywood panels on the sides (15 mm thickness) certified for minimum formaldehyde emission (class E1, DIN EN 13986:2005). 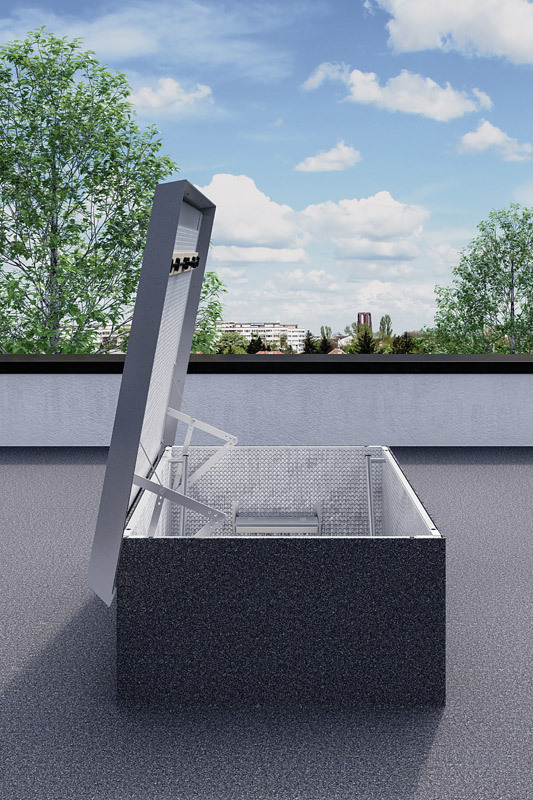 The upper hatch is made with plywood panel (15 mm thickness) certified for minimum formaldehyde emission (class E1, DIN EN 13986:2005) covered with a galvanised steel sheet lining. 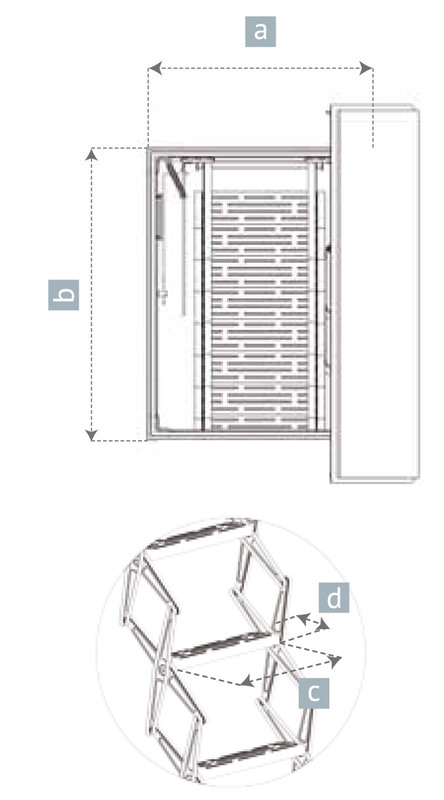 The upper hatch closing can be made thanks to a “cremone” handle. 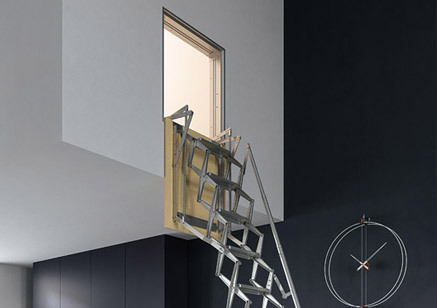 To help you ascend and descend, it has a telescopic handrail on the right-hand side, shock-absorbing springs for easy opening and closing, exit handles and landing steps (for structure > 60 cm). 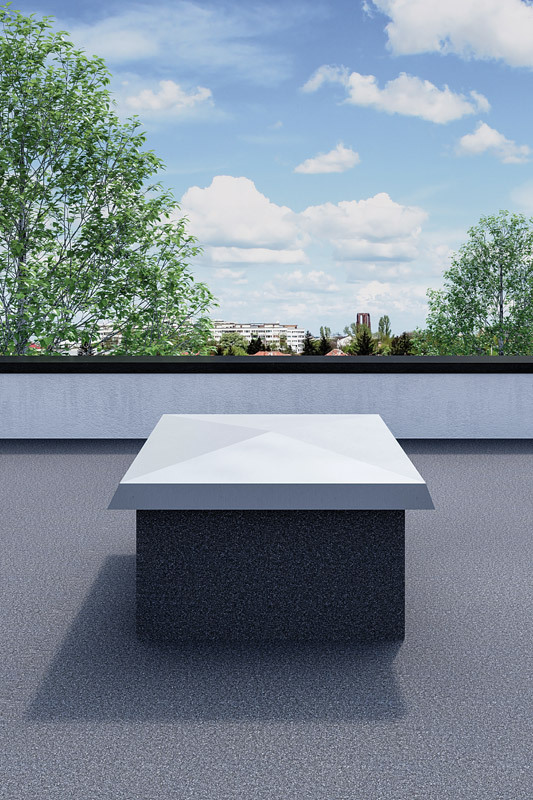 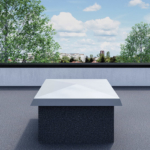 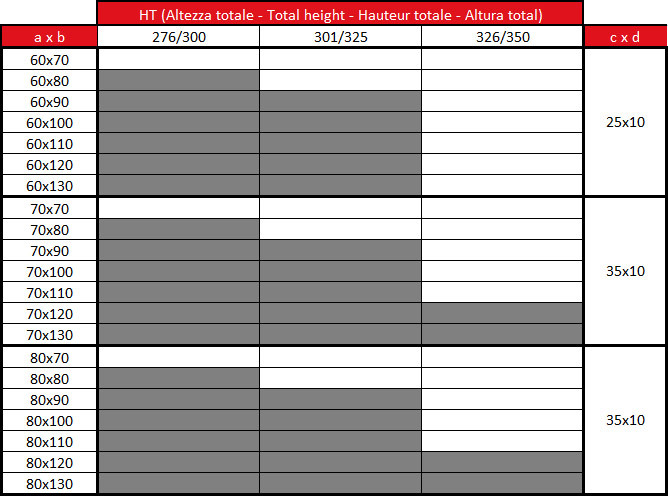 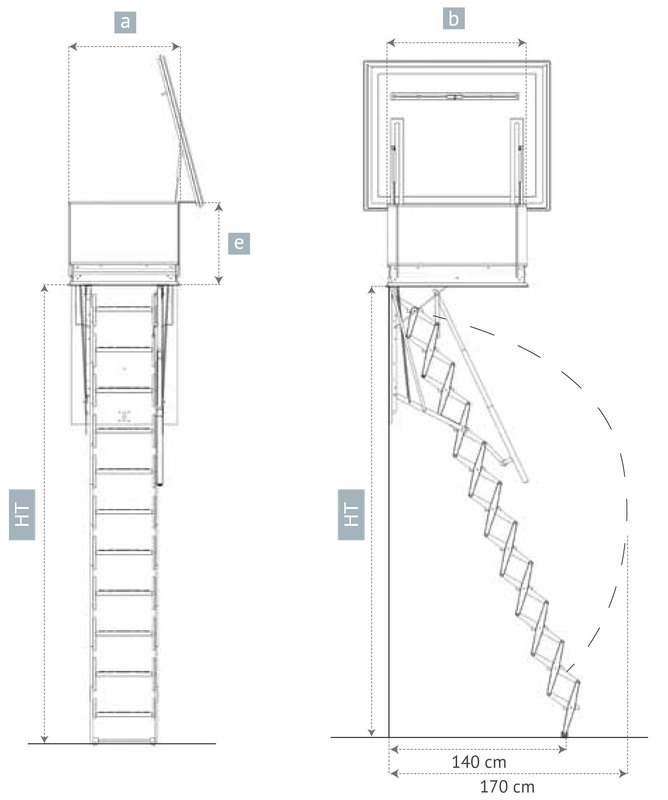 The roof loft ladder can be made with 4 section folding structure, according to the dimensions in the table below. 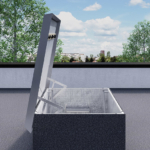 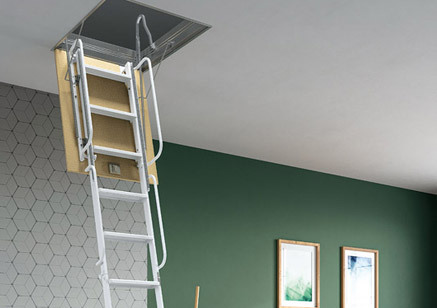 The roof loft ladder is certified according to European Norms (UNI EN 14975:2007) and grant a load capacity of 150 kg (tested with static test load of 260 kg). 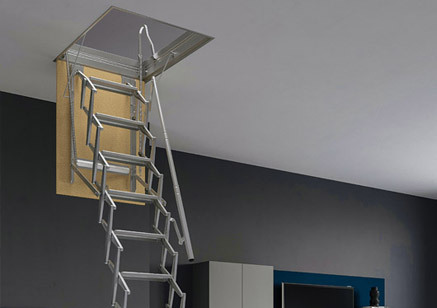 The terrace retractable ladder is delivered fully assembled, ready to be installed.